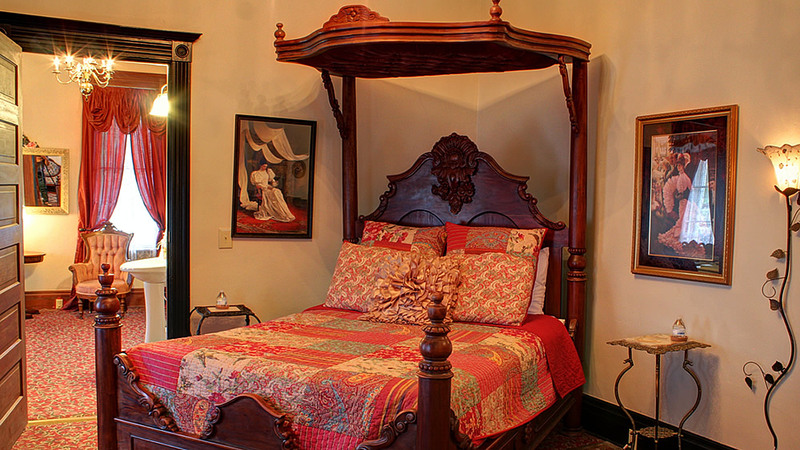 Joy Suite Grand Victorian Inn has hand carved Half-Teaster Queen bed in a fabulous two-room suite. Private bath, cable TV, WIFI, and full breakfast @ 8:30 am in the dining room. Overlooks front garden from 7 windows.